1. April 2015. Mid April is an excellent time to visit Bangkok, with the city transforming itself for Songkran, Thailand’s huge New Year festival. 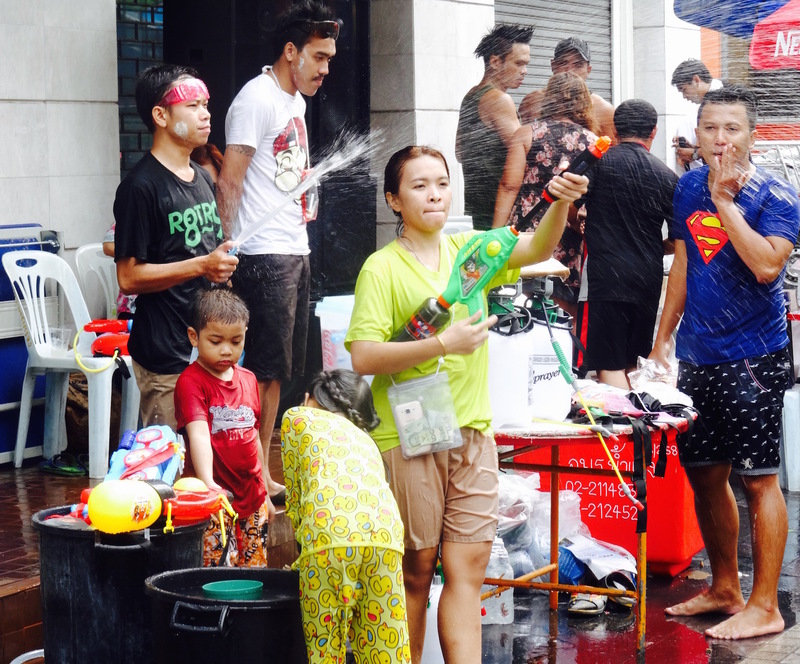 In many districts this annual celebration has morphed into little more than an almighty water war, with locals and tourists alike attacking each other using buckets, balloons and high-powered water guns. Having done my research, I understood the necessity of being able to defend myself. So I headed down to my local toy shop and picked up this bad boy. 2. April 2015. If you’re not into spraying or getting sprayed, you should really bypass Bangkok altogether during this time. 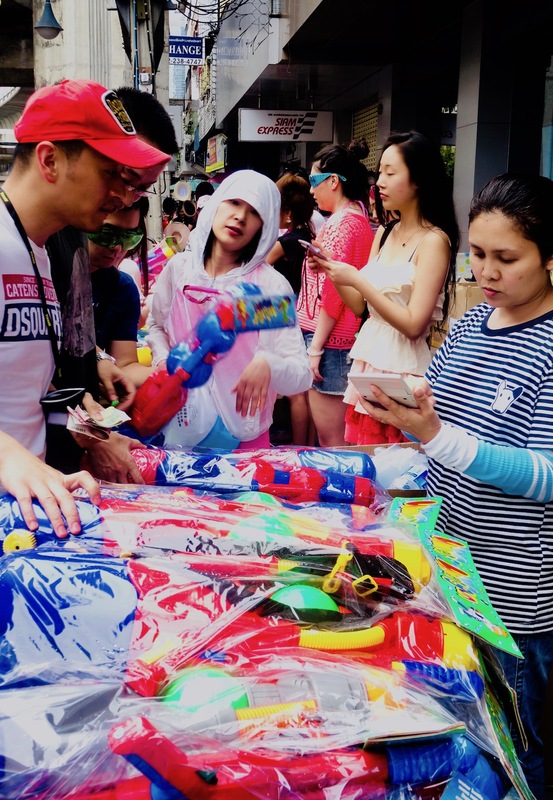 There really is no escape, from all the market stalls selling Songkran accessories to indiscriminate attacks from passing cars, motorbikes, apartment windows and random passers by who like/don’t like the look of you. 3. April 2015. You should be particularly aware of Water Teams like this one. “Photo! Photo! Don’t shoot!” I pleaded, setting my own gun down on the pavement and extending my camera out hopefully. It was a risk, but happily they were glad to pose for me without any form of ambush. 4. April 2015. Whatever you do don’t underestimate just how wet you can get during Songkran! Leave your mobile phone at home or pick up a plastic, protective case from one of the market stalls. Wrap your wallet up in a plastic bag, or like me you’ll need to hang your notes up to dry when you get back home! 5. April 2015. 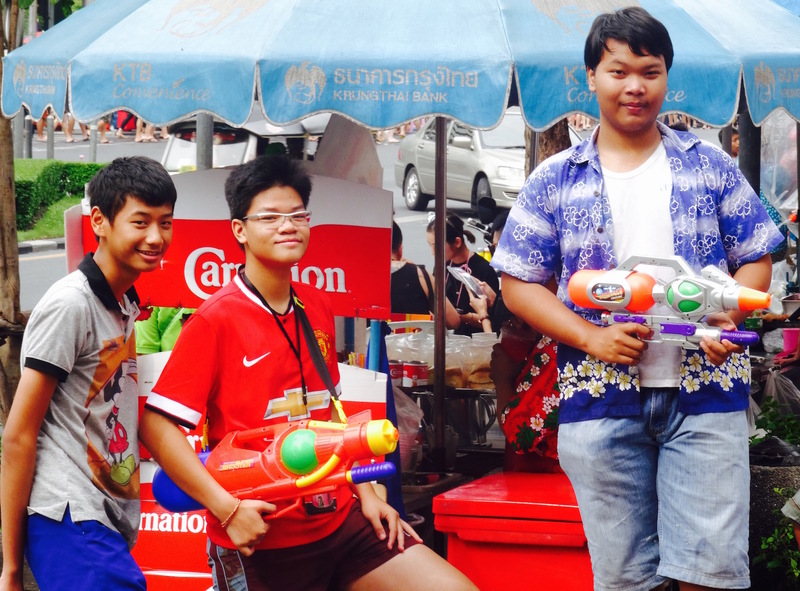 As fun as Songkran can be it quickly loses its appeal. After a solid day of relentless water fights I was pretty much done with it all. Unfortunately there were still more days and days to get through! That meant looking out for snipers everywhere I went and sinking into the back of my tuk tuk to try and make myself invisible as I went about the city. For more on my time in this fantastic city check out my articles from around Bangkok. Like these? Then why not have a leaf through my zillion other 5s from across Thailand. My 5: Lumpini Park, Bangkok. My 5: The Ghost Tower, Bangkok. I’m looking to visit Bangkok in April, and just wondered how you found the weather as I’ve read it’s too hot to do much? Songkran sounds like a great remedy for it though! 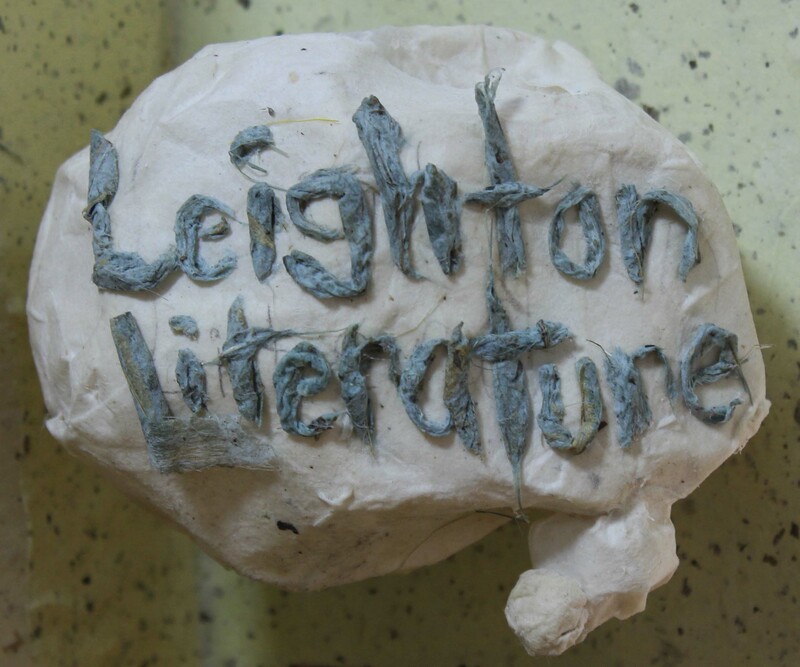 Hey Becky, thanks for stopping by Leighton Literature! It is really hot in Bangkok during April, but I didn’t find it prohibitive to doing stuff. Just slap on that suncream, keep a bottle of water in your bag and embrace it as part of the challenge. Unless you’re particularly sensitive to the heat I think you can get about and do everything you need to do.